So, just by the sheer fact that this is a blog about things I dig, you must have already assumed that this was going to be a positive review. You are correct. Thor is a well-made movie. I went in with low expectations. Because, let’s be honest–it had the potential to be a circus of superhero embarrassment. Think about it, the script includes a guy with a winged helmet and magical hammer/a rainbow bridge/nasty frost giants. Ridick! And potentially helladumb. But, it’s terrific– it’s entertaining, it’s wholesome, it looks expensive despite the lack of A-list celebs (well, minus Natalie Portman, that is). Plus, I had racked up enough points on my AMC card that I got a free large popcorn and soda with purchase of my ticket. Whatta day! Nom nom. What you have to consider, I suppose, is that–though Marvel co-opted the character for its pantheon of heroes–it is originally based on Nordic mythology. As silly as some of the ancient mythological tales are, they will always have classic potential–just because everyone understands and respects the age and elements of myth. 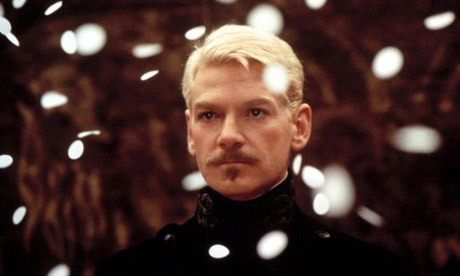 So, even though Kenneth Branagh is a somewhat untested director–as far as blockbusters go–there is one thing he knows REAL good: The Classics. He is super genius in terms of Shakespearean material and he did a pretty bang-up job in his retelling of Frankenstein. And that’s what he was able to manipulate Thor into.–a classic. He didn’t let us forget that he was dealing with was a tale of gods and mortals and it was fascinating. Branagh--knows a thing or two about mythic characters. Props to the casting director for picking a guy that actually looks like Thor. So often, I’m disappointed with the selections made for superheroes. Whilst Christian Bale PLAYED a good Batman, I don’t think he’s the perfect choice. Even buffed up, he’s a bit too thin in the face and they could have dyed his hair jet black. Yes, I’m picky, I know–typical fangirl reaction…but when you read the comics for years and years you get a definite and mostly consistent visual image and it’s disappointing when people don’t think it’s important. The performance is important too but there are thousands of capable actors out there. Get the perfect match of lookalike and good actor, you lazies! Six foot-three Australian actor Chris Hemsworth, who was relatively unknown (only thing I know him from is his performance as Kirk’s dad in the recent Star Trek reboot), not only played the role well but groomed himself to match the current image of Thor as depicted in the Marvel Comics. Well...I will look the part after some protein shakes. Obviously, this article just makes me love Marvel Comics even more. In this instance, my whole stance about 'looking the part' does not apply. Heimdall is a secondary character and Elba is ragingly awesome. This casting is nerd-approved by me. Hope they pull this trick off for Green Lantern. That franchise faces similar difficulties as far as levels of preposterousness go. (Magic space ring? Intergalactic police force? The power of imagination?) I like the idea of Ryan Reynolds as Hal Jordan but I’m NOT crazy about how they’ve done his costume up. I pray nightly for it. Anyway, let’s look at Thor again, shall we? I might be a big old homo, but my lord, look at those guns!!! I’ll tell you what this film did…it made me, a bona-fide comic book fan, care more about a character who I haven’t paid that much attention to. I’ve tried jumping onto Thor’s comic title before and have always left it after a few issues. It’s just never been my thing. From a blockbuster perspective, this is Iron Man all over again. A less than immediately recognizable comic franchise has been made awesome. 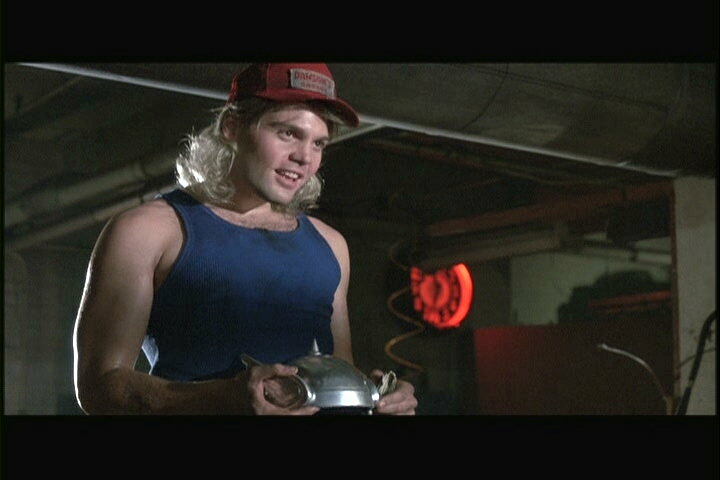 Still…as much as I liked this incarnation of Thor, nothing can ever top that scene from Adventures in Babysitting. Seriously, my sister and I thought this looked the double of my Uncle Leonard. Loved it. He is now Uncle Thor and that is why this is best. Overall, I give Kenneth Branagh’s Thor 8.5 out of 10. Here’s the trailer if you’re not already sold on it. Wow! I forgot about him being in that movie. That is a really young looking Edgar suit. I bet he still loves the sugar water. OKI, you have a great memory. I had to Google “Edgar suit”. I totally forgot that sugar water bit from MIB. Anyway, when I did that, Google came up with a website that asks the question, “Is John McCain wearing an Edgar suit”? Made me have a wee chuckle.